29 people are looking at this product right now. Dragon NaturallySpeaking 12 Professional is the ideal solution for busy corporate professionals who want to work faster and smarter. Dictate naturally to create documents, spreadsheets, presentations, email and more – three times faster than typing – with up to 99% recognition accuracy. Import and share custom word lists with unique names, acronyms and terminology tailored to your business or industry. Intelligent reminders prompt you to initiate analysis of documents and emails so Dragon adapts to the words and phrases you are likely to use. Correcting or revising dictated text is fast and simple, too. Natural-sounding Text-to-Speech reads editable text – with fast-forward, rewind and speed and volume control – for easy proofing and multi-tasking. Dragon can even adapt its format rules by detecting your format corrections – abbreviations, numbers and more – so your dictated text looks the way you want it to every time. 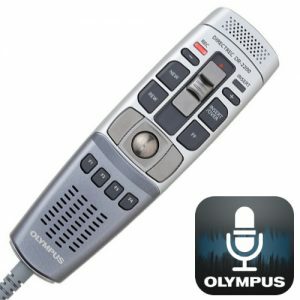 Plus, the software automatically updates your voice profile based on your dictation sessions and corrections to deliver continuous accuracy improvements. The more you use Dragon 12, the better it transcribes your speech. 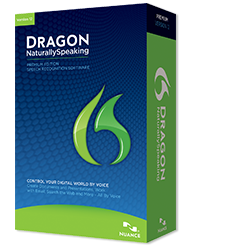 Dragon even takes advantage of the latest PC multi-core processors to further boost speech recognition performance. The interactive tutorial in Dragon 12 Professional presents simulations to help users learn and practice good dictation, correction and editing habits so that you can create text efficiently within just a few minutes. The Dragon Help system contains a Tip of the Day window and other easy ways for you to quickly learn more. The Dragon Sidebar puts important voice commands and tips in one convenient desktop location. And on-screen help means information is always available when you need it. You can use Dragon 12 Professional with many of the Windows applications you use every day. Dictate, edit and format text in Microsoft® Word, OpenOffice™ Writer or Corel® WordPerfect®, work with spreadsheets in Microsoft Excel®, create presentation text in Microsoft PowerPoint®, create email, tasks and meetings in Microsoft Outlook®, search the Web using Internet Explorer® or Mozilla® Firefox® or Google Chrome™, post to Facebook or Twitter and more – all by voice. Dragon 12 even enhances the experience of using your voice with two of the most popular web-based email applications – Gmail and Hotmail – offering Full Text Control and commands for the most frequent actions in Internet Explorer 9, Mozilla Firefox 10 or higher and Google Chrome 16 or higher. Dragon 12 also works with industry-specific programs like case management, incident reporting and claims management systems. Use simple voice commands to create files, send email, schedule tasks and meetings, open and close applications, save and convert documents and search the Web or your computer with remarkable speed and ease. Dragon Voice Shortcuts™ let you obtain the equivalent of multiple keystrokes and mouse clicks with a single voice command that can be spoken at any time – no matter what is active on your screen. For example, say: “Send email to John Smith and Raphael Sanchez” or “Search maps for financial advisors in London” and Dragon makes it happen. You can also say “open top site for Nuance Communications” and Dragon automatically opens the top-ranked page for these keywords. In addition, you can easily create or import custom voice commands that let you fill out forms, insert frequently used text and graphics, control application elements like menus and toolbars or automate business processes. For advanced recording functionality, dictate into a Nuance-approved digital voice recorder, from anywhere, at any time and Dragon will automatically transcribe the text. Or use the free Dragon Recorder app to record high-quality audio files using your existing Apple® iPhone®, iPod® touch, iPad® (4th gen). Use a wireless headset for superior comfort and mobility; wideband Bluetooth support delivers optimal recognition performance. 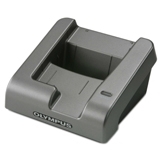 You can even use a compatible iOS or Android device as a wireless microphone to provide ultimate convenience. Dragon 12 Professional provides security features, configuration options and administrative tools that make it easy to manage voice profiles, custom vocabularies and commands, feature access and multiple installations over a network. Dragon 12 Professional can even let administrators obtain a recognition log file for each end-user, to easily and quickly gather rich, objective usage information which can be used to give users targeted advice and measure return on investment. Dragon 12 Professional enables you to meet government-mandated accessibility requirements for workers with disabilities. 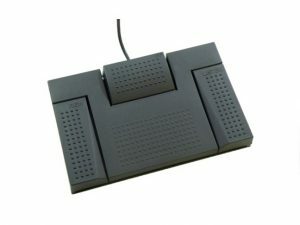 It also helps prevent fatigue and repetitive strain injuries and keeps more employees on the job by offering a comfortable, ergonomic option to the keyboard and mouse. Improved Accuracy: Dragon 12 delivers up to a 20% improvement in out-of-box accuracy compared to Dragon 11. This means that Dragon understands you and you get things done, faster than ever. And when you do need to make a correction, Dragon learns, making it more accurate the more that you use it. Faster Processors Yield Faster Performance: If you use Dragon on a computer with multi-core processors and more than 4 GB of RAM, Dragon 12 automatically selects the BestMatch V speech model for you when you create your user profile in order to deliver faster performance. Better performance: Dragon 12 boosts performance by delivering easier correction and editing options and giving you more control over your command preferences, letting you get things done faster than ever before. Enhanced Experience with Gmail and Hotmail: Dragon 12 enhances the experience of using your voice with two of the most popular web-based email applications – Gmail and Hotmail – offering Full Text Control and commands for the most frequent actions in Internet Explorer 9, Mozilla Firefox 12 or higher and Google Chrome 16 or higher. Interactive Tutorial: Proposed at the end of profile creation and available any time from the Help menu, the Interactive Tutorial in Dragon 12 offers short progressive simulations to help you practice good dictation, correction and editing habits so that you can create text efficiently within just a few minutes. Even experienced Dragon users can benefit from the Interactive Tutorial. Smart Format Rules: Dragon now reaches out to you to adapt upon detecting your format corrections – abbreviations, numbers and more – so your dictated text looks the way you want it to every time. More Natural Text-to-Speech Voice: Dragon 12’s natural-sounding Text-To-Speech reads editable text – with fast-forward, rewind and speed and volume control – for easy proofing and multi-tasking. A Nuance-approved noise-cancelling headset microphone (included in purchase).